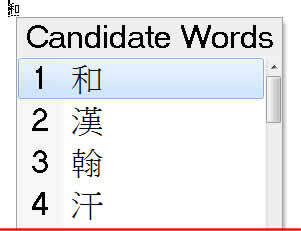 The Chinese characters in the Windows Chinese Traditional "Microsoft New Phonetic" IME candidate list are really tiny! 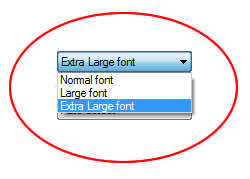 Is there a way to adjust the size of the text in this window? Yes, this feature has been standard in all versions of Windows since Vista. It was introduced with the Microsoft New Phonetic 2003 update for Windows XP SP2 and is also in the 2010 update Windows XP SP3. In Windows 10 and 8.1 you need to find the classic control panel I describe in the next section below. If you have already made the switch to the old-style toolbar menu, you can skip to the Windows 7/Vista/XP instructions below. 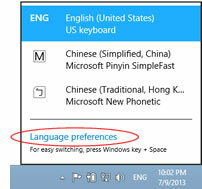 In Windows 10 you'll now be in the new "Time & Language" panel, in the "Region & language" section. At the bottom of the panel, under "Related Settings", click "Additional date, time, and regional settings", then click "Language". 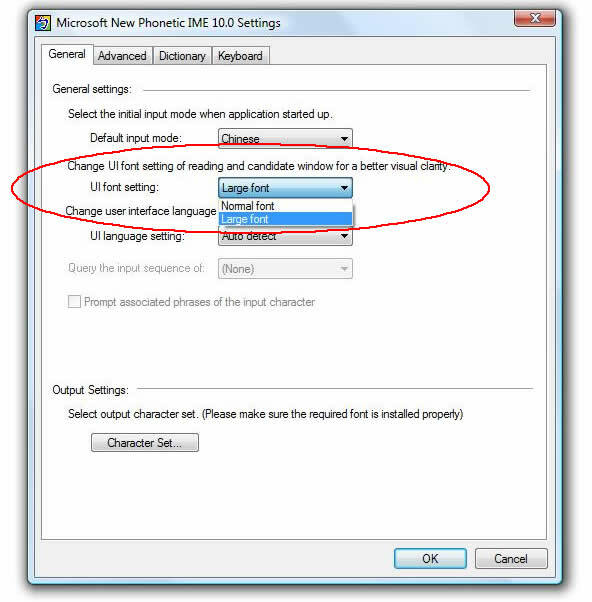 In Windows 8.1 you will already be in the Language control panel. Now you can proceed with the next step. 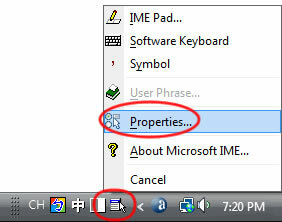 In Windows 7/Vista/XP go to the Tool menu on the Language band or bar. Select "Properties" from the Tool menu. This will take you directly to the settings panel for this input method. 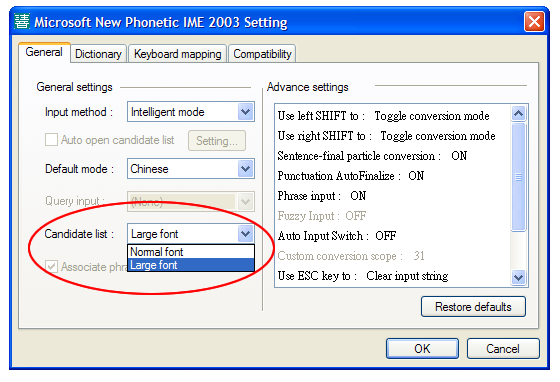 In the settings panel for Microsoft Bopomofo (formerly New Phonetic), in the "General" tab, there is a setting for the candidate list font UI settings. ...and it's all still there in Windows 8 and later.